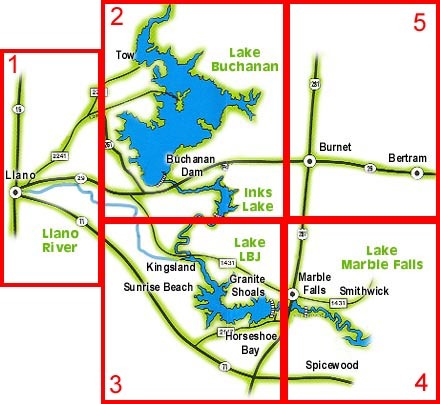 Lodging in the Texas Highland Lakes: Hotels, Motels, Bed & Breakfasts, Waterfront Resorts, Condos, Lake Houses, Camping & RV Sites. Llano area, Lake Buchanan, Inks Lake, Lake LBJ, Marble Falls, Spicewood and Burnet areas. 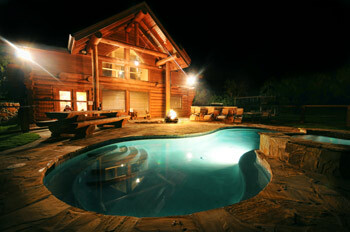 The Lakes and Hills are filled with every style of lodging accommodation to fit virtually any ideal vacation plans. Whether it's a premier Hotel, branded Motel, quaint Bed & Breakfast, exciting Waterfront Resort, spacious Condominium, complete Lake House, unique Log Cabin, open space Camping or an RV Hook-up, we have an accommodation perfectly suited for you!